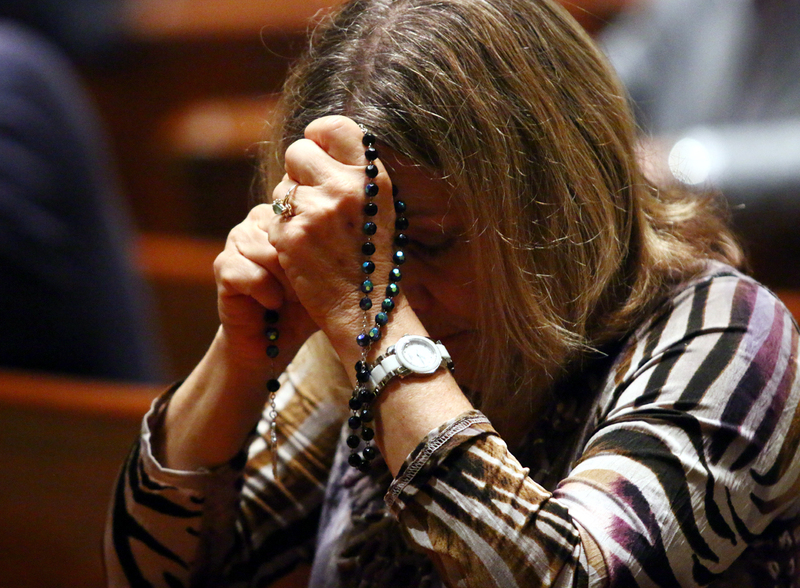 The rosary simultaneously manages to be one of the easiest and the most difficult prayers of the Catholic Church. Easy because it was developed to simplify the Gospels and contains the most commonly known prayers, the Hail Mary and Our Father. Difficult because it is so easy to get distracted while repeating the same prayers over and over. One of the noted side effects to the new digital age is a rapidly shortening attention span. This makes it even more difficult for the younger generation to pray the rosary when they’ve grown up on a steady diet of social media and the now seemingly antiquated 24-hour news cycle. Does this mean that the rosary should be given up, forgotten or abolished for the younger generations? In the words of the great sportscaster, Lee Corso, “Not so fast my friends!” Perhaps instead of abandoning the rosary, it can be looked at in a different light and seen as a great gift to the young faithful. Two of my fondest memories growing up are going to ballgames and going on vacation. There is something that both have in common: crowds. For a small child, those crowds can be quite scary or intimidating. So we were taught to hold on to Mom’s hand and not let go. She would lead us through the swarm of people and other obstacles and dangers. When we pray the rosary, Mary does the exact same thing. She leads us not through the crowds at the stadium but rather through life. Like a good mother, she wants to keep us close and safe. As we navigate the various temptations, struggles and difficulties of life, Mary desires to lead us through the mess. Life throws its twists and turns at all of us. We often feel like we have nowhere to go, no idea what to do. We in the younger generation will jump on YouTube, Pinterest or Facebook to find the best advice capable of resolving our problems. All the time, there is Mary, holding out her hand, the rosary, for us to latch on and allow her to guide us in our time of need, fear or sorrow. Instead of trying to come up with all the answers ourselves, we can allow Mary to pull us through. There is of course a great irony about young people complaining that the rosary is “too repetitious” and “boring” for their short attention spans. In a certain sense, the rosary was developed just for them, albeit some 800 or more years in advance. The rosary grew out of a necessity for those who couldn’t read to learn the Gospel stories. It was, and still is, much easier to learn the 15 (now 20) mysteries of the rosary than to read the entire New Testament. As a modern-day analogy, the mysteries become like “tweets” of the Gospel. One-hundred-forty- (now 280-) character messages reminding us of the essential mysteries of the life of Jesus. On Twitter there is a hashtag, #GIFtheGospel, in which users post GIFs (compressed images) to humorously tell particular Gospel stories. The reality is that the rosary has been doing this very work for centuries. When the mysteries of the rosary are seen as a “Twitter version” of the Gospel, then it becomes a great tool to help introduce young people to Jesus, not something to be abandoned. Younger people today, myself included, might be tempted to think of the rosary as boring, repetitious or as an antiquated practice for older generations. However, when contemplated with a fresh perspective, one can see how through the rosary, Mary reaches out to lead us on life’s journey. It’s not a journey to nowhere. Rather it’s filled with many digestible and short signposts, tweet-sized mysteries leading us to Christ. Out here reciting our mantras is healing and empowering. So too is the healing effect of rosary recited in groups or alone. Long live the rosary.